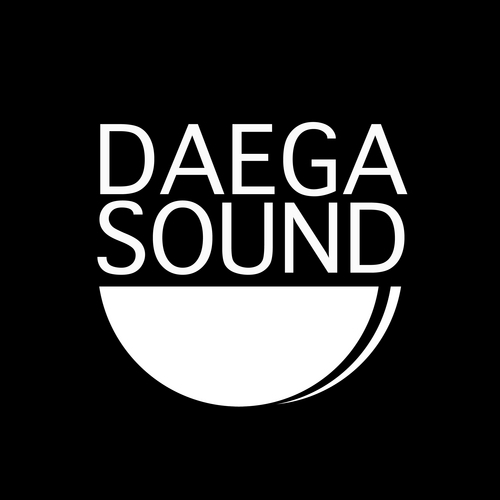 It’s been nearly a year since I last talked with Daega Sound and I’m happy to report, they’ve been very busy. This duo from Vancouver showcases powerful tracks in the dubstep realm , an expanded live pa and a string of excellent releases in 2012, into 2013. Extensive interview below..
DD I was just up in Vancouver to see XI, thought about you guys. What are you up to in Canada? I still gotta see one of your shows. DS Yup we’ve been busy keeping up with our releases and forthcoming releases, as well as writing LOTS of new music for 2013. We have 8 tunes slotted for release at the end of 2012 and early 2013. We are super stoked for our latest releases, our tune “Fonica” and the seriously banging Fonica remix by DJG out on limited edition 10” as well as digital on Crude Records. Also our remix of Longwalkshortdocks “You Berg” out on King Deluxe. Forthcoming we have 2 dnb tunes coming out on Loxy’s CX:Digital label, Mind Like Water. It’s a half time very textured dnb bit and “Flight” which is akin to the older school dnb steppers but with a melodic and layered up Daega sound. Also a 3 track minimal style dubstep EP coming out on Dat Pressure Records. Our collab with HxdB, which has been super fun, will be out on 12” and digital on Crude Records. You can catch the dub of “Spheroid” (Daega and HxdB) being snuck onto SubFM and RinseFM by a select few Dj’s. Also a couple remixes we have done, “Regenerate” by Moldy, a super sick proper tune coming out 12” and digital on Tuba, and a remix of the notorious Mat The Aliens “Hsptl Wobble”..a mad mid bass wobbler we totally daegafied, for his label Really Good Recordings. So keeping that going as well as getting to work other new projects. We are working with vocalist Lady Maroo on a couple tunes, who has worked and released music with DJ Madd, excited to see where that goes, she has a great voice. Outside of the studio we are starting to book in some shows in Vancouver and are looking at the spring for a North Amercian tour. In the immdediate future we’ve got some DJ gigs and some Live PA gigs in Vancouver comin up! DD Judging by your new productions, I sense a distinct production evolution (the forthcoming “Fonica” on Crude Records is tough!). How do you feel you’ve grown in 2012, and how to you hope to build on that progress? DS “Fonica” is a culmination of new inspirations within the bass music realm and our new ever progressing experience in the studio. The more time we spend in the studio, the more we learn. New information and skills are very inspiring, the results are in an evolution of the sound. We are also looking at the overall organization of what it is that we do and what we want to do. Looking forward and building on the foundation that we have, we’ll be spending a bunch of time in the studio writing and finishing new tunes, and we also plan to be getting ourselves out on the road more. All the while, we’ll be upping the focus on making ourselves more accessible and organized online. DD The Daega Sound remix of Longwalkshortdock’s “You Berg” has a sick rhythm. The change up between the intro and drop is very unexpected. How are you connected with Longwalkshortdock, and what did you hope to accomplish with this remix? DS We had been playing the same festivals as Longwalk for a couple years before we actually met. Always loved his live performances, totally off the hook awesomeness; he can produce, sing, and really put on a show. Once we all met, and nerded out for a bit, we totally got along and now try to catch each other’s shows whenever we can. We liked Longwalk’s version of “You Berg” with the vocals, he sent the stems over, King Deluxe wanted to do a remix pack with a bunch of other producers and it was on. The format of the song is unexpected. This tune kinda just came out like that, we liked the contrast of the smooth vocal lines and build up from the likes of the original tune, then the way it just fell into a very different drop, which is very us, but still heavily influenced by the original. We didn’t really have an agenda with the “You Berg” remix, it was more about getting a project going with LWSD, cause we like him and his music so much. DD When is this DPR Recordings release happening? I love the fluid, epic quality of “Falsehood”, and “Whirpool” is tight too. DS Thank you! We were going for a full sound using minimal timbre’s and a stripped back arrangement. Master’s of the tunes are completed and they sound awesome. From this stage the tunes begin their journey to the label to queue up for promo, then onto worldwide distribution on all major online retailers. We are waiting for a release date from distribution for the EP, we anticipate a late 2012 release. DD I was sad to see III Cosby, head of Car Crash Set move from Seattle to Washington D.C. He released the “No Northwest Cycle 2 EP #3” in May, 2012. This features your tracks “Legion” and “Winter’s Horse”, along with productions from Kid Smpl and Keyboard Kid. “Winter’s Horse” stood out to me, I would love to include this in a future DJ set of mine. What kind of connection do you feel with your close neighbor, Seattle? DS Glad you like the tune, of course put it into a mix, that would be awesome! Well, from the few times we’ve been to Seattle, we played with Shackleton there in 2010 and had a seriously good time, we both really like it. We were into all kinds of rock and grunge when we were younger and some our favourite musicians (Chris Cornell, Kurt Cobain to name a few) all come from Seattle, so it was awesome to play there..and think about how many amazing artists have performed or come from Seattle. The influence from all those artist is still very there for us. We’d both really like to be there more and get to know the city better, haven’t made it to Decibel Festival, its been in the plans for a couple years, we’ve heard so many great things about the level of production, and of course the line up always looks so amazing. DD To wrap things up, what’s the best thing that’s happened to you guys this year? DS We’re not good at picking favourites, there are certainly a lot of highlights. Some highlights would have to include: releasing a limited edition 10” with an absolute banger of a remix from one of our favorite producers and good friend DJG (aka Grenier), releasing on Loxy’s label is big for us , he has been a sound hero for us since we were teenagers. The success of our new live pa set at this years edition of Bass Coast featuring the debut of a bunch of our new DnB and integration of ipads into our live set up, honing in our production and work schedule (there’s something to be said for time management) and having some space and time to write and prepare for the future.